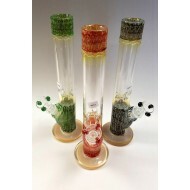 This 10" clear mini straight waterpipe by HVY glass is the perfect size for the discreet consumer. 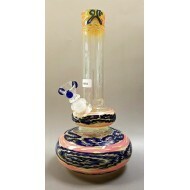 N.. 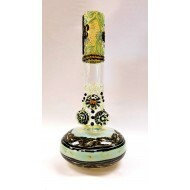 This HVY straight tube is decorated with thier coil design. 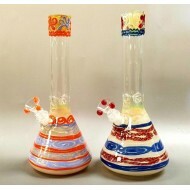 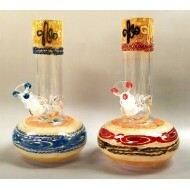 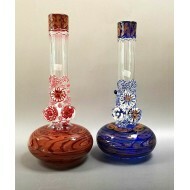 Available in two different hues.&n..
HVY Straight Water Pipe with Coil Design.